Once we hit the year 2000 I felt like we could officially consider ourselves as living in “the future.” And boy, has it proved disappointing! No flying cars, no fusion power, no mass production jetpacks, no Ricardo Montalban becoming a superhuman tyrant. Sure, we got the Internet, but at this point I think we can admit that’s maybe 70% boon and 30% curse. Speaking of flying cars, science fiction has had us convinced for nearly a century that the key to those flying cars is antigravity technology. We’ll guess what, science fiction! You neglected to count on our scientists’ baffling inability to find graviton particles! They’re not even sure they exist! Fortunately, in places like the fictional sort-of fantasy, sort-of sci-fi world of Eternia and galaxies long ago and far away, scientists evidently solved the antigravity puzzle. Or maybe gravity just works different there – who knows or cares other than Wikia editors. 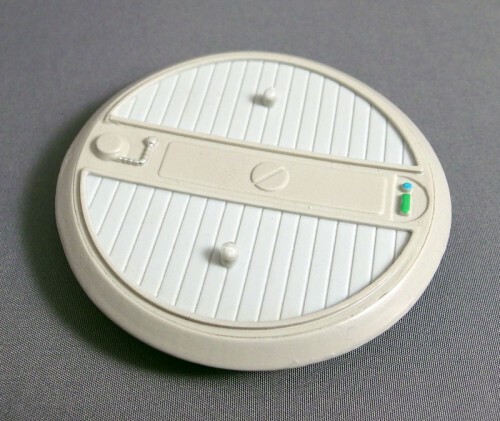 The important thing is, devices like Joe Amaro’s custom Hover Disc Re perfectly plausible on Eternia or Tatooine. The Hover Disc is not a complex toy. It’s a small hunk of solid plastic, exquisitely designed and sculpted by Mr. Amaro. It was issued in two flavored, gray and black; I specifically requested the gray because I thought it would show off the details better. 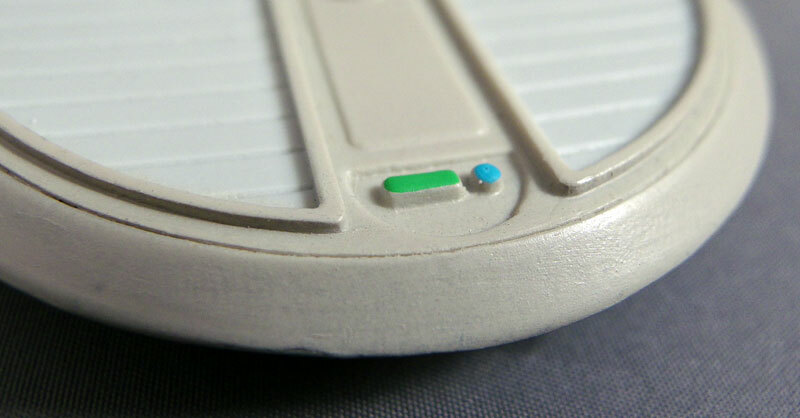 There are three little half-spheres at the bottom of the disc, which both suggest the disc’s esoteric antigravity technology and serve to balance the disc when it’s on the ground. There top is sculpted with more suggestively sci-fi details, and it even has some paint applications – the bottom is painted a dark gray, while the top (except for the foot panels) is painted in a grayish-white, the buttons are painted blue and green, and there’s a silver circuit. Of course, you could always along more details yourself – the plastic has a nice matte finish that I suspect would take paint very well. There are two pegs on the disc. 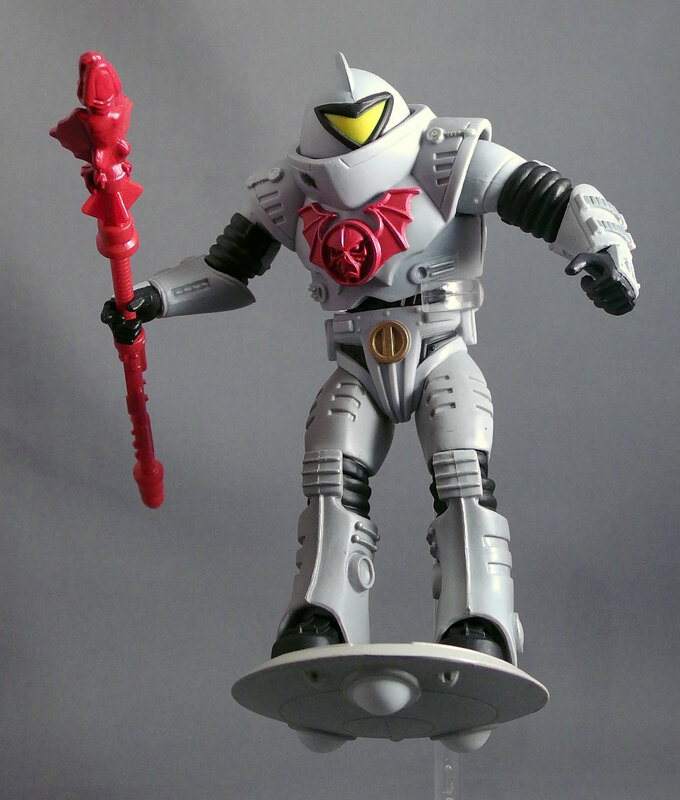 They seem ideally designed for MOTUC figures, and I think that’s who Joe had in kind (particularly Horde Troopers). Fortunately the legs always work for the Horde Troolers’ spiritual predecessor, the Stormtroopers (specifically the 6″ Star Wars Black kind). 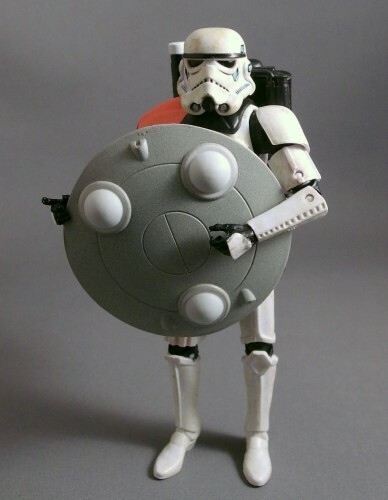 I like the hover disc with the Stormtroopers – it fits in that kind of Expanded Universe, Marvel Comics kind of way. Of course, the discs will also fit any manner of figures. 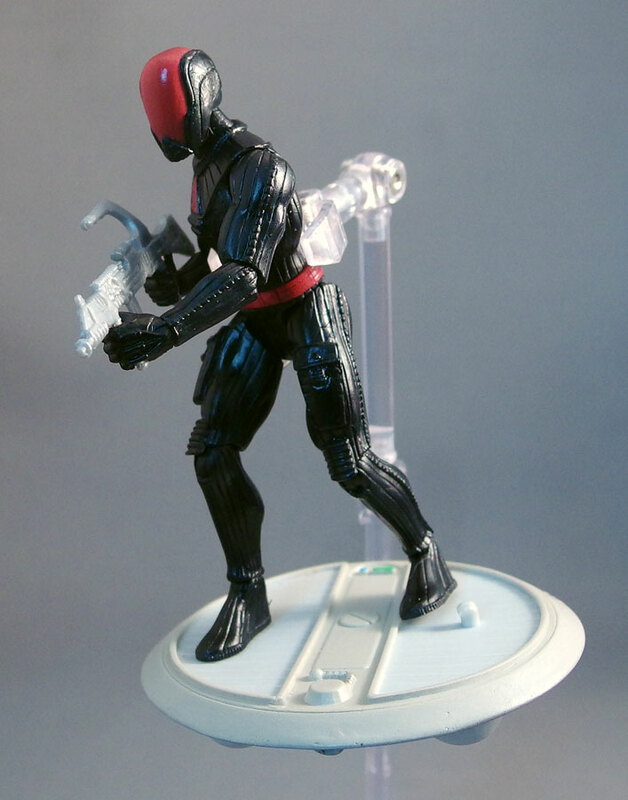 The pegs work best on 6″ figures but theoretically you could pose any figure on them – it is a mighty vehicle indeed for a 3.75″ figure. 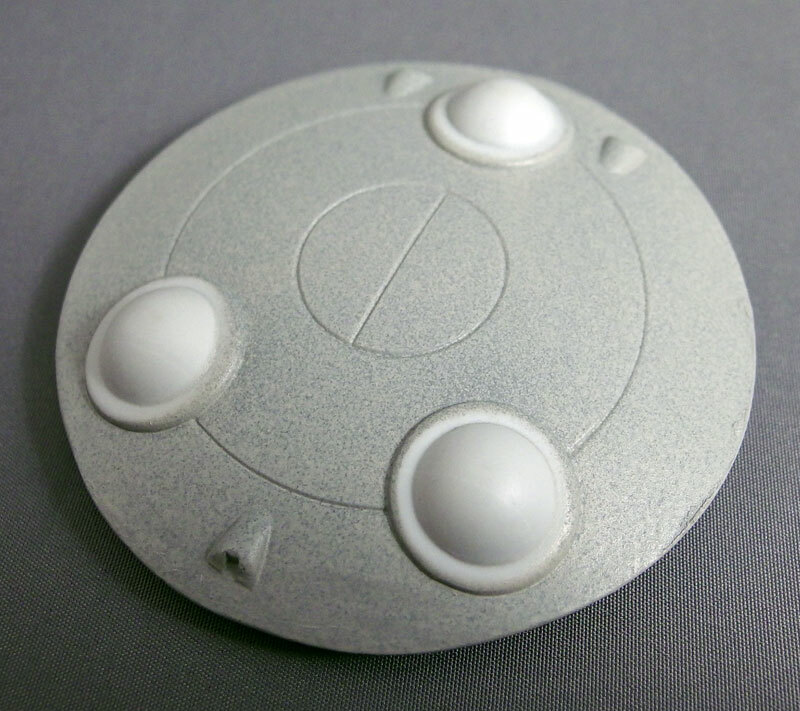 Joe has sold out of the Hover Discs, but he might do another run if there’s enough interest. So hit up his blog and let him know! 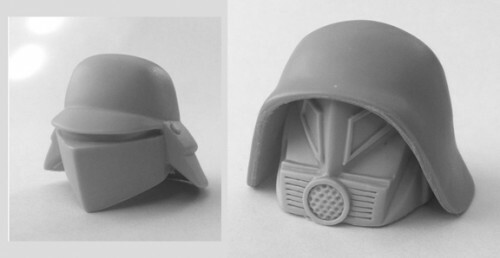 In the meantime, Joe will be selling two other items this Wednesday, January 22, 2014 at 7pm: the Dark Soldier helmet and the Spaceballs-inspired Helmet General. Keep an eye on this page to order them on Wednesday. For more on these helmets, visit Joe’s Facebook page. 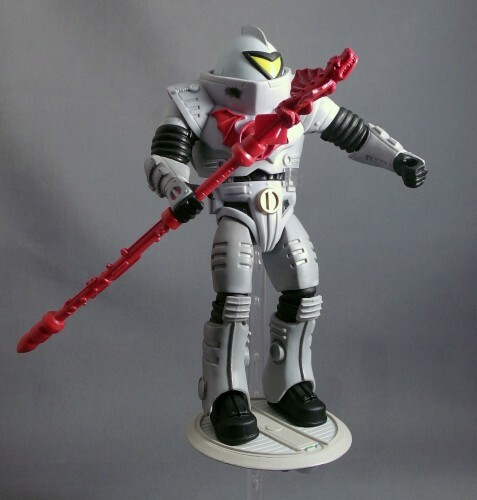 some aspects of the collecting world i don't get… this is one of those. like, i get third party weapons, i get accessories, armor, new heads, and on a level, i get why people would want the discs… what i don't get here is the price tag associated with the piece. is there a hole in the bottom for a standardized stand to hold it up? no. nice paints? eh, kinda, but not exactly, is the sculpt nice? 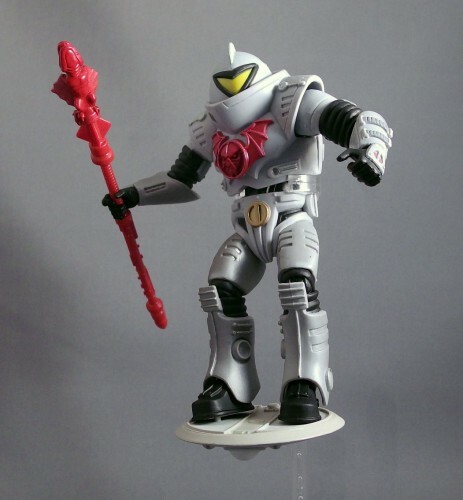 yes, it's done very cleanly and stylized, in a way that's appropriate for several toy lines… but come on. 20 bones for this? i don't see it. i didn't see the price tag for the castle grayskull manhole cover either. i know that's not amaro's, just saying, i don't bear him any ill will here, instead it's a value perception thing. i don't get the price tag here for what you're buying. i'm willing to bet that if i troll the plumbing department of home depot or lowes, i can find something that would do this job for under 5 bucks, and i can add two chopped off styrene rods as foot pegs for less than 15. I can understand this sentiment completely. Its tough to pull the trigger on alot of these 3rd party items. Not all are a great value, and if u cant paint, good luck lol. But after watching a buddy of mine make custom sgt. Slaughter heads for gijoe, i saw that the materials just arent cheap. Wax, silicone, etc. Plus its all very time consuming and eventually the molds fall apart etc. Not to mention sculpting time and effort. Its tough because these guys don’t want to sell themselves short but they dont want to rip people off either. 3d printing is pricey and requires cleanup too and modeling takes time. That said i do love to c what people make to improve our toys! Here's the thing on the pricing. The Manta Raider was $50. It was at least twice the size, had way more paint and sculpting detail, came with a stand AND it had custom packaging with art by a MOTU legend Rudy Obrero. To me that was a great price for what you were getting. So when these Hover Discs came up I was shocked at the $20 price tag for such a simple piece (in comparison to the Manta Raider). A couple minor paint applications, some basic sculpting detail and no packaging? For $20? That seems really steep in my opinion. I'd have been more inclined at $15 and would have bought multiples at $12 but the value just wasn't there for me at $20. 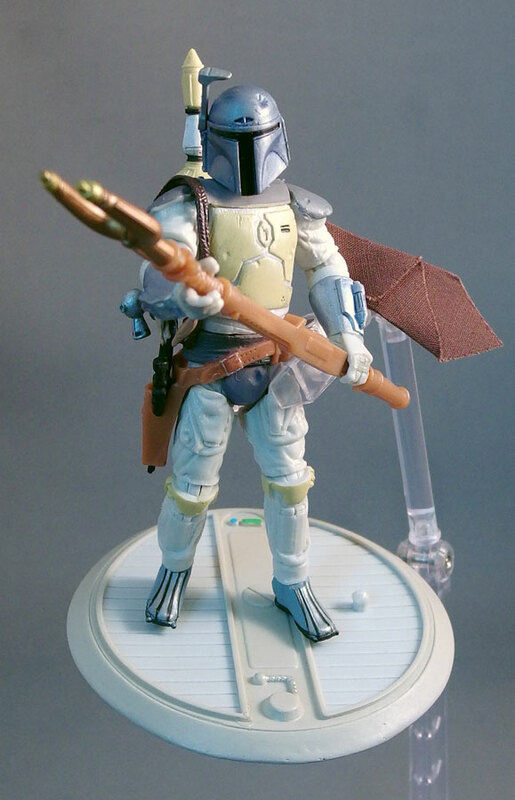 I know there is a lot of work that goes into these 3rd party garage kits and I appreciate all of it. But there's a fine line between making a profit and gouging. I'm not saying that this is price gouging because I don't know what the costs were for this. I just think the price is too high for what you're getting. But I guess it's all supply and demand. Considering these sold out in minutes the demand is obviously there. I just don't see it myself. …..My God Dark Helmet….. 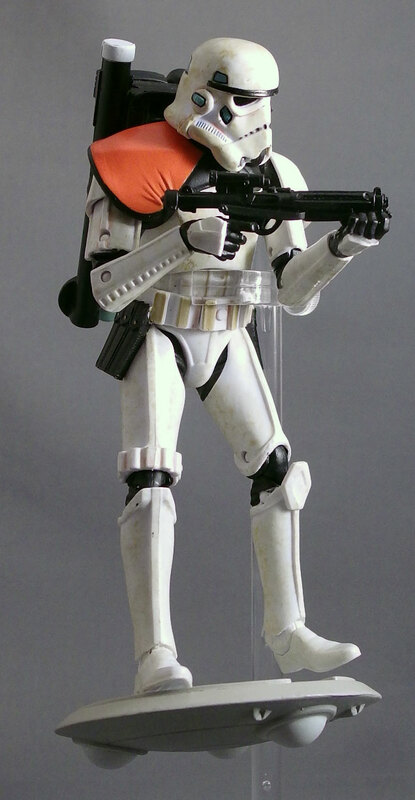 The man has made a "Spaceballs-inspired Helmet General". That's the real story here. The disc is OK but the Helmet is Great! My collection needs Dark Helmet. Poe could you twist Mr.Amaro's arm for a pic of that head on a body? If I'm going to pull the trigger I will need to see just how big that helmet is compared to a MOTUC buck. Maybe a DCUC buck would be a better base. Oooo the possibility's. see, darren's on the nose here… the dark helmet, and dark soldier heads, THOSE look incredible, and hit me in my "Q rating" box with a lot more potency than mr hover disc does. both of those heads i would own in a heartbeat, and would give a considerably wider berth on for "work vs price tag" than the discs, not because of personal preference, but because the work appears to be there (and test fitting the neck hole over the ball joint is more work than fitting the hole on the bottom of the foot) seriously, look at dark helmet's… helmet, he's got as much going on in that face mask as the entire top side of the disc, sculptwise.